DC Entertainment and Archie Comics announce the crossover of epic proportions with HARLEY & IVY MEET BETTY & VERONICA. Their hijinks are brought to you by the real-life team-up of Paul Dini (HARLEY QUINN) and Marc Andreyko (WONDER WOMAN ’77), with art by Laura Braga (DC BOMBSHELLS). 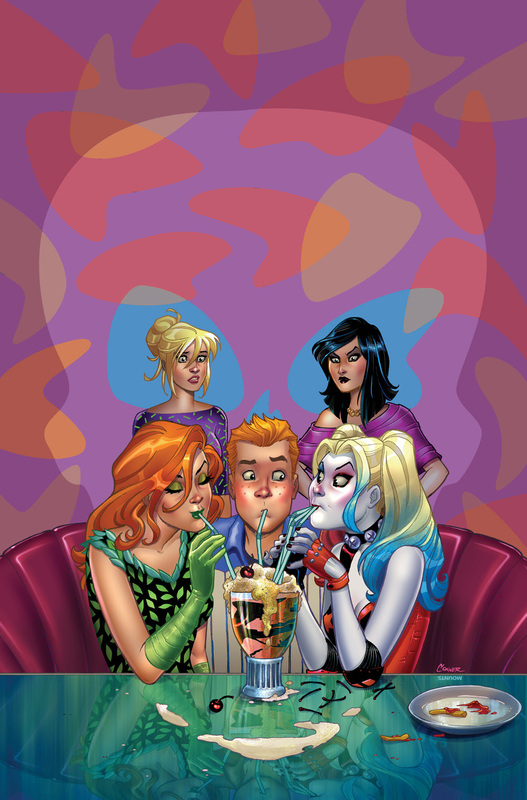 It all starts this October as these teams of best gal pals cross paths between Gotham and Riverdale! "Betty and Veronica are the most iconic friends in comic book history, and now, thanks in no small part to the success of the Riverdale TV show, in pop culture," said Archie Comics Publisher/CEO Jon Goldwater. "It made tons of sense to have them crossover with DC's own female powerhouses, Harley Quinn and Poison Ivy. What you'll get is a fun story that honors the history of both pairs and adds to it - which is what all great crossovers do. We're excited by this partnership and we can't wait for the fans to see what Paul, Marc and Laura cook up."